What a weekend of Starcraft! I have been paying close attention to any new improvisation of the Hellbat transformation. 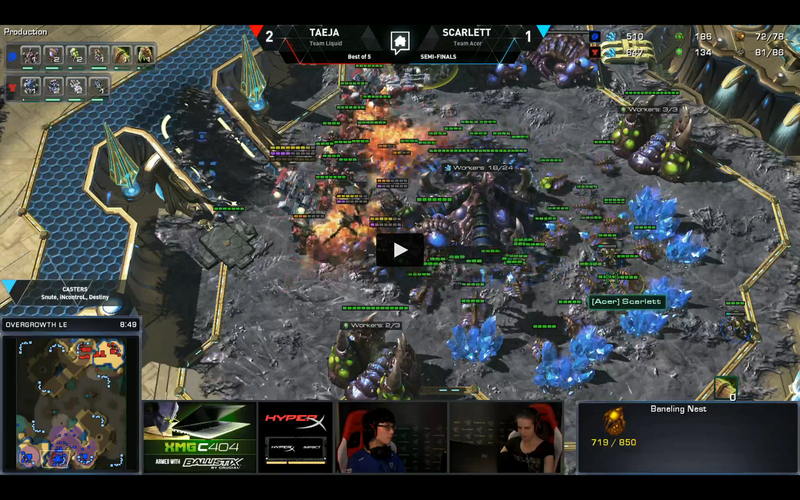 TaeJa did a new Hellbat build which took out both JaeDong and Scarlett in the Home Story Cup. Here are the links to the vods. Liquipedia is awesome with vod links in the tournament page. 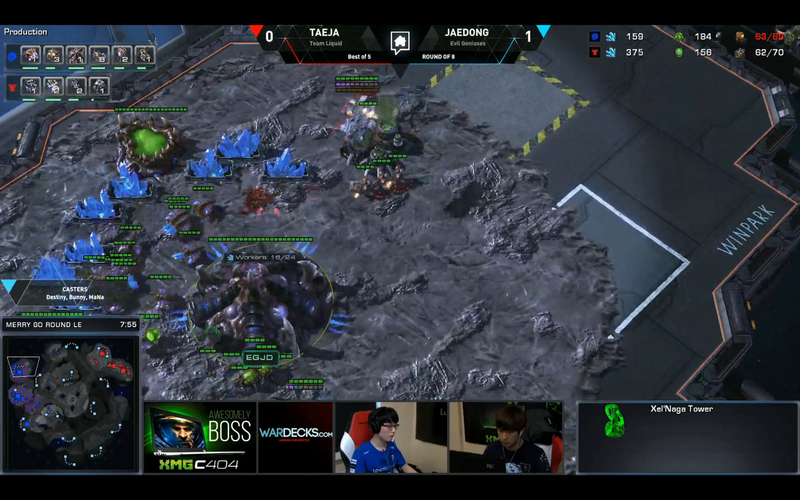 TaeJa did not optimise this build in the two games because of multitasking (e.g., miss a pair of Marine production). The listed build order is what he intended to do. This is a standard one Reaper expand into Reactor Hellion opening. @100% Factory – Swap Factory onto Reactor to produce Hellions. Build Starport and use Barracks to build a Reactor next to the Starport. Supply Depot. Build Supply Depot accordingly from here. @100% Reactor – A pair of Marines. Armory. @100% Medivac – Swap Starport onto Barracks’ Reactor to produce a pair of Medivac. Load the six Marines into the Medivac and drop in Zerg’s base. Pause Marine production and prioritise Hellion and Medivac production. Regroup with everything when the second and third Medivac are ready. Transform into Hellbats and attack with Hellbats, Marines and Medivacs. Rally Hellions and Medivacs to reinforce. First of all, in my opinion, this is the best TvZ Hellbat timing build out there now, and is better than the ones I have discussed in the last two posts. Those builds which I’ve discussed previously do not have the cutting edge like this one. This hits before 8:30 with Hellbats and [many] Medivacs. It starts with a single Reaper expand into Reactor Hellion build. For clarification, you build the Command Centre before the second Supply Depot if you produce only one Reaper. Conversely, if you produce more than one Reaper (two or three), you build the second Supply Depot first. This is because the early Reactor right after the first Reaper means that you will not produce from the Barracks, and this allows you to cut corner to build the Command Centre before the second Supply Depot. By doing a one Reaper expand, you get access to Reactor Hellion earlier because the Factory goes down earlier. You may want to read up on the pros and cons of getting just one Reaper in another post. Back to the topic. This build goes for a 1-1-1 after expand instead of the standard two additional Barracks before Starport. The standard build aims for a +1/+1, stim and Medivac timing with the focus on the bio. As I have mentioned earlier about INnoVation’s build, you can produce more Hellions and do this timing with Hellbats. However, the games over this weekend showed that this “timing” does not accomplish much. Hellbats trade better than Hellions in such push, but it more or less has the same impact as what it was before the patch. With the 1-1-1 after expand, you hit an earlier timing with the focus on Hellbats and Medivacs. MMA also did a 1-1-1 after expand and hit a timing with just one Medivac and Hellbats against TLO in Home Story Cup, but TaeJa’s build is just superior in terms of the cut throat impact for a timing attack. While waiting for the Armory to complete, TaeJa tried to make the best out of the first early Medivac by dropping with Marines into Zerg’s main. He managed to pick off two Overlords and some Drones against JaeDong. Of course, the Hellions do the standard zoning at the front all the time. After the Armory is completed, regroup with everything with the second and third Medivacs to hit the timing before 8:30. Rally the Factory and Starport to reinforce the push with Hellions (transform to Hellbats when they join up) and Medivacs. Produce Hellions and not Hellbats for reinforcement because Hellions simply move faster. 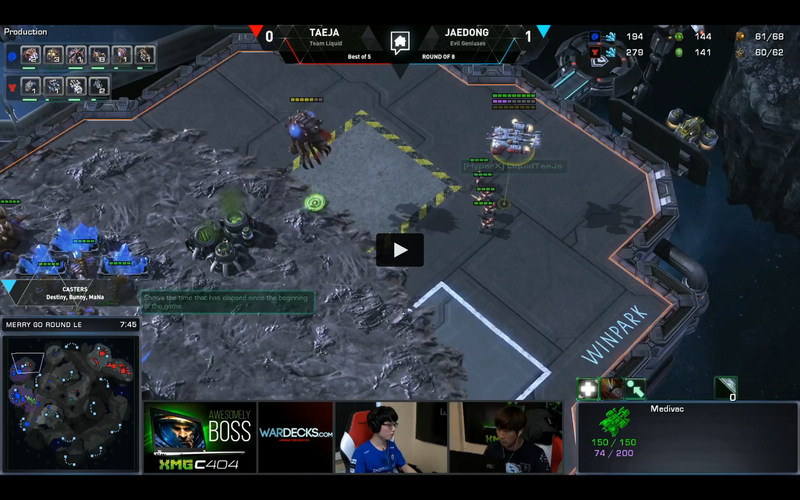 Both JaeDong and Scarlett just got knocked out by the push, so TaeJa did not get to show how he is going to transit out of the build into a standard game. However, it is always about going back to the convergent points. You definitely need the third Command Centre for both bio and mech transition (look at the production tab in above image). Assuming you want to transit into bio, this is what I think is the best transition. Drop a Tech Lab on the Barracks and research Stim. Lift up the Starport from the Reactor. Build one Barracks on the Reactor, and another Barracks next to the Factory. The Factory, which still has the Reactor, produces Widow Mines or Hellbats based on your preference and situation. Get a Viking from the Starport to clear Overlord (Stay active with the production facilities). Put down two Engineering Bays, then take Refineries at the natural. When the two Barracks complete, swap the Barracks without add-on onto Factory’s Reactor. Produce bio accordingly. Just play standard from here onward. I will do a post on the current TvZ metagame soon, after I have done more research on the recent games. I did my best to stay up till 6am to watch as much as can… Oh well, more to catch up for Shoutcraft too. Flash did a similar build in Proleague against Rogue, albeit the execution is different. Hey sick write up, I was just curious if cutting SCV’s at around the 5-6 minute mark would help with the push at all? I think Flash does that in his SPL game against Rogue. I may be wrong, but when you produce 2x Medivac and 2x Hellion/Hellbat simultaneously that early, you may not have enough resource for every production cycle. 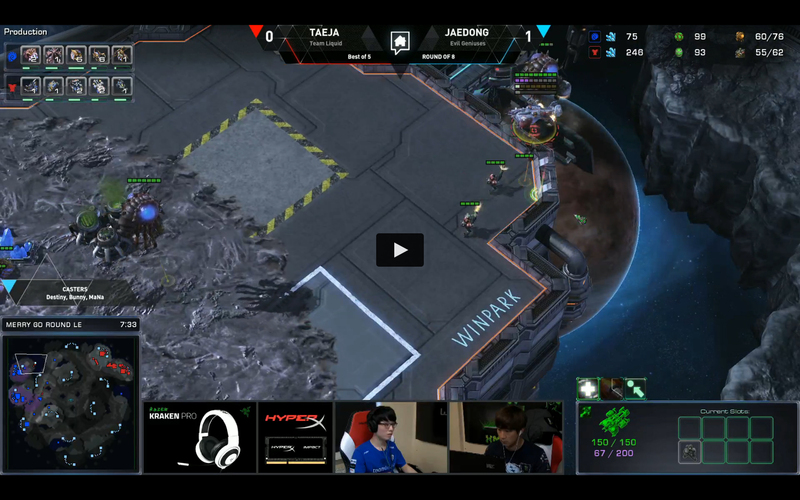 TaeJa cut Marine production, so I guess it’s just prioritising production and not deliberately cutting scv.